Ultimate guide to Upfront and Monthly Mortgage Insurance Premiums (MIP/PMI) rates for FHA purchase loans and (streamline) refinances. FHA charges both an upfront mortgage insurance premium and monthly mortgage insurance on almost all the loans it insures. On December 23, 2011 the President signed into law Temporary Payroll Tax Cut Continuation Act of 2011 which required FHA to increase the annual mortgage insurance premium. However, changes were made again in January 2015 to reduce the mortgage insurance premium to make FHA loans more affordable to First Time Home Buyers. The most recent update was made in January 2017, but was suspended by the Trump administration. The table below is the most recent one. For all Streamline Refinance transactions that is refinancing FHA loans endorsed on or before May 31, 2009, the annual MIP will be only 55 bps regardless of the loan amount. For all other streamlined refinances, regular MIP rates will be charged. This is effective for loan applications taken (and FHA case number requested) on or after June 11, 2012. It’s not possible anymore. Loans with an amortization of 15 years AND Loan to Value Ratio (LTV) of 78% or less used to qualify for no FHA annual mortgage insurance premium. However, this changed with effect from June 3, 2013. After that, it wasn’t possible to get any FHA loan without monthly mortgage insurance premium. The upfront mortgage insurance premium is 1.75% of the base loan amount. This applies to all loan terms and LTV ratios. 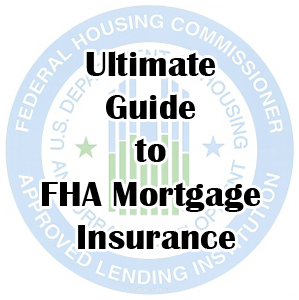 FHA does allow financing of UFMIP into the loan amount. For example, if your loan amount is $400,000, instead of paying 1.75% or $7000 as closing cost, you can add that to your loan amount and make your principal balance $407,000. For all Streamline Refinance transactions that is refinancing FHA loans endorsed on or before May 31, 2009, the UFMIP will be only 0.01% of the base loan amount. For all other streamlined refinances, regular UFMIP rates will be charged. This is effective for loan applications taken (and FHA case number requested) on or after June 11, 2012.